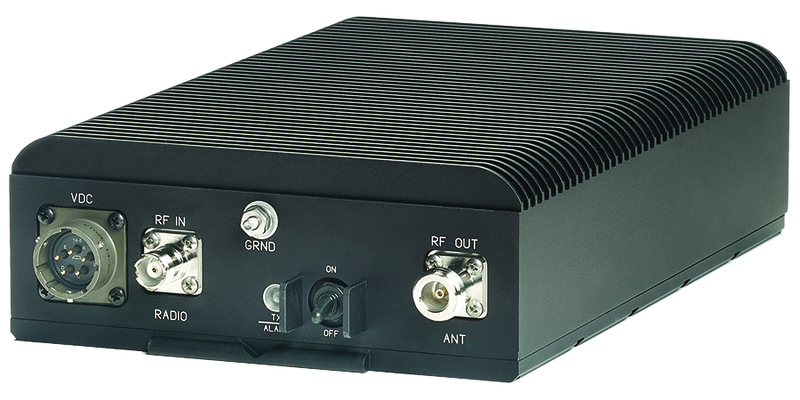 AR’s Model AR-50SE is designed as a fully automatic band-switching RF booster amplifier for multi-band tactical radio equipment. Covering the 30 to 88 MHz frequency band, this amplifier uses high speed auto switching filters to assure harmonic suppression. The AR-50SE includes power supply voltage spike suppression, a DC/DC converter for wide DC input range, RF sensing, T/R switching, Automatic Level Control (ALC), three automatically switched harmonic filter bands, and protection against antenna mismatch and over-temperature. For more features and specifications, download the available datasheet.